When Elisa became a mother, she was exposed to teaching others for the first time and found that she loved it. She opened a kindergarten in her hometown and studied at home while providing for her young family. Elisa got her degree with honours and finished first in the national teacher examinations in Mexico. This in turn allowed her to get a scholarship for a Master’s degree – again ranking first. Having little in the way of teaching resources when she started out teaching very young children, Elisa created her own materials. She puts a special emphasis on encouraging respect for others and valuing diversity in culture, art and music. Recently Pearson Education published 12 of her textbooks for preschoolers and their educators. The school that she founded, Colegio Valle de Filadelfia in Aguascalientes, has grown along with her three children, providing primary and secondary education. Her model has been franchised and now there are schools in five Mexican cities. A sixth school will open in Costa Rica in 2015. She has also travelled to Finland, Japan, South Korea and China to visit schools and learn from successful teaching practices. Elisa has developed history and geography resources complete with collaborative projects for secondary school students. These web-based materials are freely accessible to other students and social studies teachers. 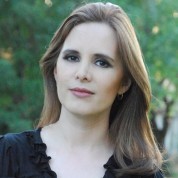 Elisa has shared her insights with the teaching profession online and at conferences all over Latin America. She has been invited twice by ‘Save The Children’ and a local foundation for children to train over 500 teachers in Bolivia in setting up learning environments for young children. In addition she has been working with brain-injured children as a volunteer at The Institutes for the Achievement of Human Potential for over a decade. In 2005, she received the “Brazilian Gold Medal of Honor” given jointly by The Institutes and Centro de Reabilitação Nossa Senhora da Glória, in recognition to her “outstanding service for children in Latin America”.